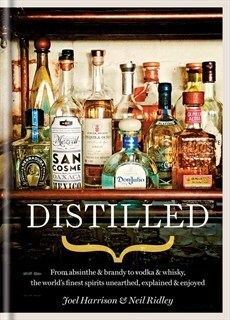 A guide to exploring the burgeoning world of craft spirits. Today's world of spirits is experiencing an explosive increase in craft distillers and pioneers of new distillates. It's about men and women tearing up rule books and creating new spirits with extraordinary personality and passion.This book uncovers the best spirits the world has to offer. These are not necessarily the best-known examples on the planet - though if they are good, they have a place here - but the best crafted and most interesting. Spirit by spirit Joel Harrison and Neil Ridley explain what you need to know to appreciate a spirit - its ingredients, its classic forms, the choices a distiller makes in creating it - and offer their picks to 'Drink Before You Expire' - the world's best examples of their type, from gin and rum to shochu and tequila. There are plenty of suggestions for how to drink too, with innovative and classic cocktails and their insider tips on getting the best out of your spirits.